Almost all water sports, including water skiing, wakeboarding, kneeboarding and tubing to name a few, need the right rope and handle. 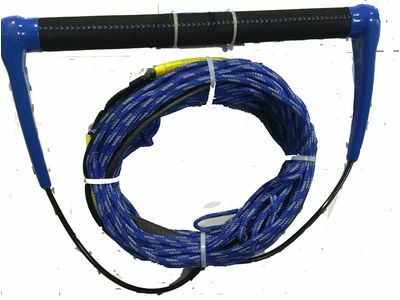 Ski ropes and handles are essential watersport accessories and we only sell from the best and most reliable brands like Radar, Cutting Edge, Straightline, ML, KGB, Jet Pilot, Ronix and more. Whether, you’re a beginner or a pro, we can team you up with a rope and handle package. Don’t let a day on the water turn sour by a forgotten or broken ski rope and handle.